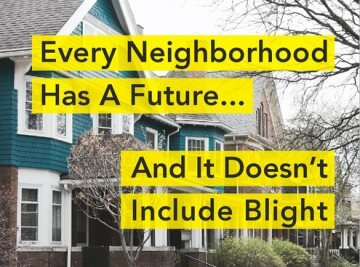 AFRICANGLOBE – A report released Tuesday by Detroit’s Blight Removal Task Force (BRTF) recommended that the city spend at least $850 million to demolish more than 20 percent of its housing stock. The cost could rise to $2 billion if the city targets industrial properties that contain hazardous materials. The report claims that at least 30 percent of Detroit’s buildings are dilapidated or becoming dilapidated, and that 90 percent of publicly held parcels are blighted. Some 40,000 structures have been identified for immediate demolition, with 44,000 lower priority structures to follow. Over 190,000 residents inhabit areas targeted for so-called blight removal. Such a vast destruction of housing is historically unprecedented outside of conditions produced by war or natural disaster. The character of the entire initiative is summarized by the fact that Detroit’s number one real estate speculator and billionaire tycoon, Dan Gilbert, is heading up the BRTF, which is made up of federal officials, city officials and business leaders. A more shameless conflict of interest could hardly be imagined: Gilbert has been empowered to make decisions from which he will directly profit. Other major players involved in the task force include DTE Energy, the utility giant that has promoted the shrinking and restructuring of the city along lines that serve its profit interests. Wealthy interest groups, such as the Kresge and the Skillman Foundation, and two federal government agencies are also involved. Never seriously addressed by the report is the question, how is it possible that such a large portions of the city became “blighted”? After all, just decades ago Detroit’s predominantly Black population enjoyed one of the highest home ownership rates in the country. The abandonment and decay of tens of thousands of once-decent homes was the inevitable outcome of the wave of factory closures and mass layoffs, which the auto companies and other corporations used to batter down the resistance of the working class, which had won major improvements in its living standards during the mass struggles from the 1930s to the 1970s. The number of manufacturing jobs in Detroit fell 90 percent—from 296,000 in 1950 to only 27,000 by 2011. “Large-scale destruction is well known in Detroit, but it is also underway in Baltimore, Philadelphia, Cleveland, Cincinnati, Buffalo and other cities … Officials are tearing down tens of thousands of vacant buildings, many perfectly habitable,” the Times wrote. Similar projects are being advanced in Detroit, promoted by pseudo-left forces, as a means to make use of the tracts of land clear by the BRTF. Dressed up as “green,” “organic,” and “environmentally friendly,” these plans are the most bizarre and telling manifestation of the horrific social retrogression that is going on. In the early 20th century, the explosive growth in Detroit’s population—which rose from 500,000 in 1910 to nearly 2 million in 1950—was based on the influx of hundreds of thousands of Black workers escaping America’s South and European countries for the Motor City’s modern industrial facilities. Now, politicians and special interests wants to turn many of the city’s former working class neighborhoods into farmland. At the same time, huge investments are being lavished on a tiny portion of the city. Portions of the downtown area, bought up in advance by Gilbert and his fellow billionaires, are to be developed as a lavish, ultra-modern playground for the small sliver of the population that can afford to live, dine, and entertain there. Despite the glossy propaganda campaign, which has accompanied its rollout, the blight removal is not about rebuilding neighborhoods and improving services. In reality, the blight removal is part of a strategy to drive the Black population out of the city. It is being coordinated with mass closures of public schools and shut off of public services in areas deemed “unviable” for investment. For the the rich White interests behind the bankruptcy, provision of public education and basic services is a wasteful drag on profitability. On Tuesday, Detroit Public Schools (DPS) officials met with counterparts from the Michigan Department of Education to discuss a plan to close 26 schools and school programs by 2015, cut 555 staff positions by 2018, begin a salary “rollback” in 2017, and reduce employee benefit costs by $14 million per year. The plan also projects a reduction in the total number of students enrolled with Detroit Public Schools (DPS) from 49,012 to 45,000 by 2018. This is only the latest wave of closures in the wholesale assault on public education that has unfolded during the past decade. When DPS moved to close 44 schools in 2010, this brought the number of operating public schools in Detroit to about half what it was just a few years before, in 2006. As of December 2013, more than 100 Detroit public schools had been closed, while the percentage of students enrolled in for-profit charter schools is second only to New Orleans. While pensions are slashed to the bone, health care benefits stripped from city workers, and public schools systematically shuttered, vast resources continue to be placed at the disposal of the corporations that dominate social life in Detroit. These policies are justified on the grounds that Detroit’s staggering population collapse—from nearly two million to around 700,000 today—has rendered existing housing and services superfluous. The demographic catastrophe experienced by Detroit was, in reality, a product of decades of relentless war against the city’s Black population, of which the leveling of the city’s housing base and destruction of its public schools are only the latest expression. What is needed is a vast program to rebuild the city, including refurbishing those homes that can be fixed and constructing hundreds of thousands of new, low-rent housing units. Such a program will never be carried out by billionaire real estate developers or their political servants in the Democratic and Republican parties. 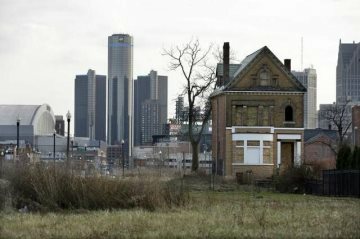 It will only be the result of a the development of a mass political movement, which would break the grip of the corporate and financial elite and make available the resources needed for a vast improvement in conditions for the vast majority of Detroit’s population.